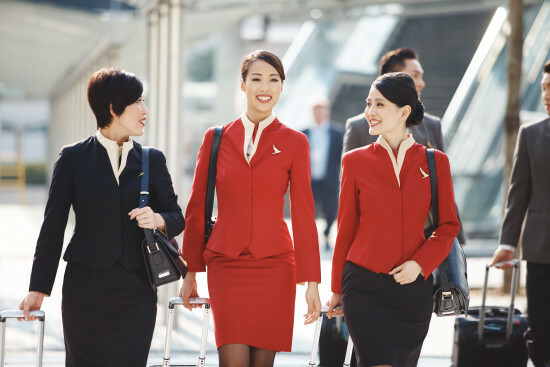 Cathay Pacific is pleased to announce Big Sisters of B.C. Lower Mainland as the recipient of a $35,000 prize package, awarded to commemorate the airline’s 35 years of flying between Vancouver and Hong Kong. Charities from throughout B.C. were invited to participate by submitting something creative to showcase how the organization could benefit from winning, whilst positively impact the local community. Whilst all submissions received were from worthy organizations, Big Sisters of B.C. Lower Mainland won over the judges with their storytelling journey of reuniting a Big and Little Sister and how that relationship helped transform a young life. “As an international airline that brings families and friends together from around the world, Big Sisters of B.C. Lower Mainland’s entry resonated with our judge panel,” said Ross Cronin, Director, Sales & Marketing Canada. “Social responsibility is at the core of the Cathay Pacific ethos so, if this gift can in some way help grow a young person’s potential for a brighter future, we consider it a success,” he added. The $35,000 valued gift will help Big Sisters of B.C. Lower Mainland raise much needed funds to continue their important work in the community. On Big Sisters Day (September 18) the charity called for Big and Little Sisters to reconnect with the organization, asking them to share their story as to how the program has positively impacted their lives. All entries will have the chance to win two Cathay Pacific Premium Economy Class tickets from Vancouver to New York. For more information visit here or www.bigsisters.bc.ca. Cathay Pacific was overwhelmed by over 40 contest entries, all from meaningful and worthwhile local organizations. In recognition, the judge panel wanted to acknowledge the two runners up: Alzheimer Society of B.C. and Ovarian Cancer Canada were both awarded two Premium Economy Class tickets from Vancouver to New York in support of their charitable fundraising efforts.